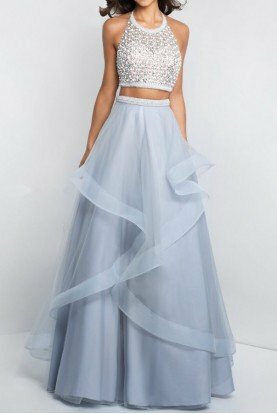 Two piece ballgown with beaded top and asymmetrical tiers on skirt. Top features open back. By Blush. Fabric: Tulle Color: Silver. Style Number: C1072 Known for soft, sleek and elegant styles, Blush Prom by Alexia carries the latest trends for every event. 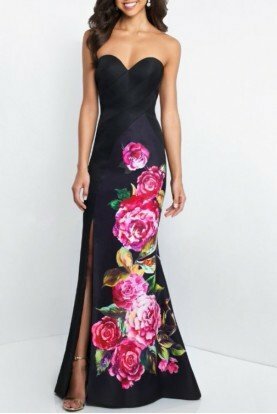 From Bat Mitzvah, Sweet 16, Homecoming and Prom, Blush has cocktail dresses and ball gowns with unique styles to compliment every personality.